When the winter season is over, owners of old brick homes in the Washington DC areas are advised to inspect the exterior walls of the structures. One of the things to look for is any bulges in the brick facades. Bulging brick is a fairly common but potentially damaging issue caused by water seeping through the mortar joints. What causes the bricks to bulge? While water damage is a constant challenge for exterior brick walls, bulging bricks can signal a dangerous problem. 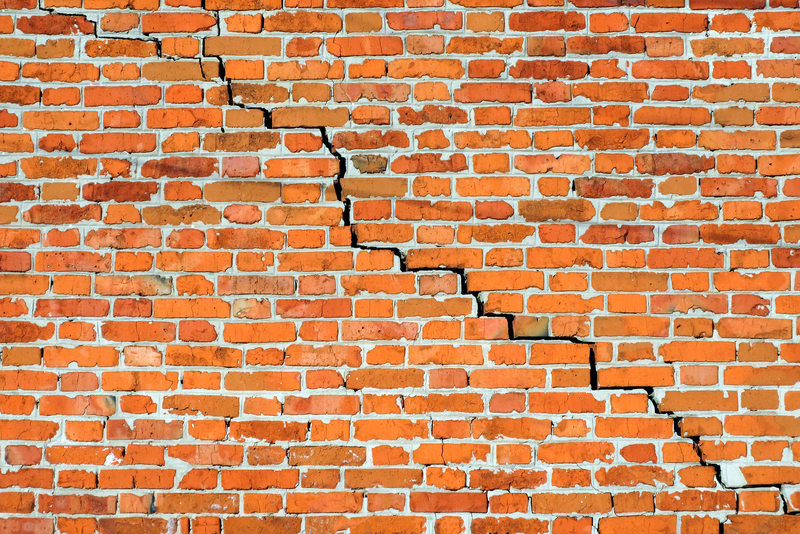 If parts of the wall break apart, moisture can accumulate behind the wall, causing it to weaken. The result is an increased risk that it will collapse. Rusted anchors in the wall. Repairs with a qualified mason should be planned out as soon as the bulging wall appears. They will ensure that your wall doesn’t detach from the structure and collapse. What are the signs of bulging brick? Check the overall appearance of your brick walls. Look for unusual bowing, leaning or swelling on your exterior brick wall. These signs indicate that you’re dealing with bulging brick. You may also notice that the bottoms of the windows seem higher than the row of bricks below them. If you see any of these signs get in touch with a professional mason. They will ensure that your wall doesn’t detach from the structure and collapse. It may be that the existing structure can be repaired, but often it is necessary to rebuild or replace the brick wall. How can bulging brick be prevented? An essential part of maintaining a brick wall is to keep the mortar intact. The joints between the brick and mortar can allow water penetration. Regular upkeep on an old brick wall includes tuckpointing the joints and reapplying new mortar on a regular basis. This involves raking or grinding out joints to a depth of three-quarters to one inch and applying new mortar. Make sure that you consult with masonry contractors that know how to preserve and repair the brick and mortar found in historic homes.